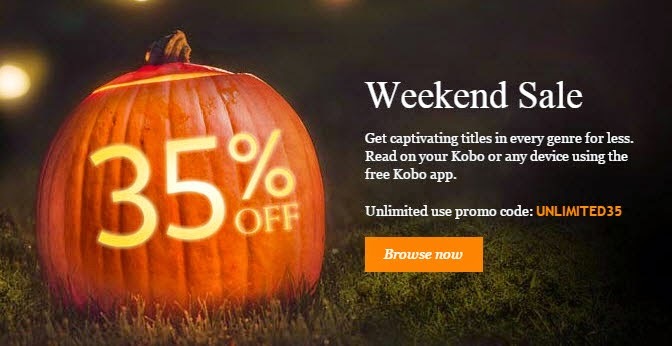 Kobo Canada is now offering 35% on all e-books with the promo code UNLIMITED35. The Halloween sale is valid through November 3, 2014. Grab a couple of books - the regular prices go between $4.99 - 5.99. Save 35% today!